Have you been thinking about getting into backcountry skiing but unsure of what gear you need? 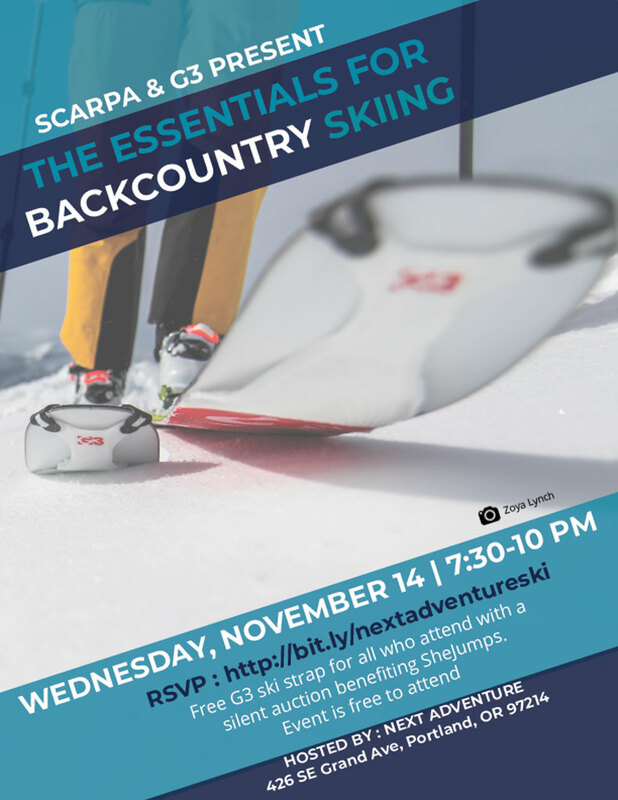 Join us for an evening with SCARPA and G3 to learn about some of the gear required to transition from inbounds skiing and into the backcountry. All attendees will receive a free ski strap from G3, along with a chance to bid on items from other top outdoor brands.